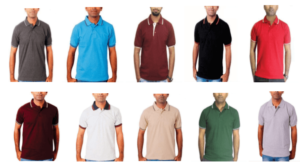 Apparels constitutes almost 30% of all corporate gifts and in that t-shirts, are the single most preferred item. 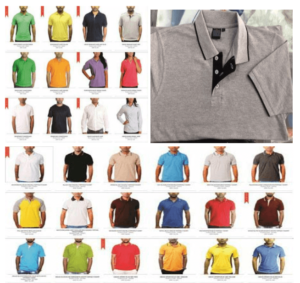 The choices are round or polo neck in pure cotton or polyester mix to suit the purpose and taste of the users. We at Sparket for pleasant surprises keep ready stocks of almost over 18 colors in various shades in small, medium, large and extra-large sizes in both round and polo necks. If the order quantity is over 400 then we can even match your house colors by dyeing the fabric to ensure you get maximum mileage out of your promotional activities. Most of the times we can deliver the t-shirts locally within 24 – 72 hours depending on the quantities, branding and various other parameters. Branding can be done at the pocket area and the choices are screen printing, embroidery or photo quality printing. The embroidery logo branding can also be done at the shoulders, neck or larger size screen printing at the back to convey the message to the masses. Full sleeves t-shirts or any other form of customization is possible for larger quantities. Manpower out on the field full-time necessitates t-shirts as uniform to bring uniformity and identity to your corporate image all-round the year. The trousers or jeans can be added to give it the complete look. There are times when companies have added wind cheaters, rain coats or jackets to complete the uniform requirements at different seasons to ensure round the year visibility and comfort for their field force. T-shirts can be used round the year whether while launch of a new product, events, get together, outings, conferences, meets, seminars, sports day, marathon, celebrations and the list of occasions is endless. The message can be as per the theme to connect better with the participants and to create awareness among the other viewers. The beauty is long after the event is over the t-shirts is used by the recipients for next few years to bring back the sweet memories. Customisation on the t-shirts helps in identifying the various participating teams in a gala event like Indian Premier League, Indian cricket Council etc. Similarly, when the various sports are organised by the corporate sectors they can create multiple identities between the various branches and divisions to increase bonding and competitive camaraderie within the players and the spectators from the respective groups. The colors are the first form of segregating various groups and we can add photo quality printing with images to ensure maximum mileage out of the participants and the supporting spectators. When the movie of famous south Indian cine star Rajanikant called Robot was launched with much fanfare in South then upcoming fmcg brand distributed over 10000 t-shirts with the robotic image of the hero in the front of the round neck t-shirts to associate with the young target audience for their consumer products. Please do get in touch with us for customised promotional t-shirts to get the maximum mileage out of your promotional activities.